Its removal caused a lot of angry listeners. Now Gold is set to return across many parts of the UK on local DAB services from mid-September. Gold is already available in London, Humberside and the East Midlands on DAB. 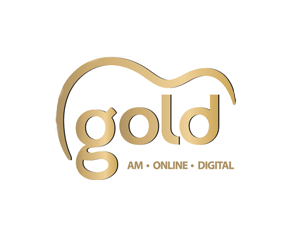 Gold is taking over XFM's stereo slot on the local DAB multiplexes. In Manchester, the station returns to DAB after only being available on Medium Wave for the last couple of years. In Birmingham and surrounding areas, the station returns after being axed three years ago by Orion Media who operated the West Midlands version of the station on behalf of Global Radio. Orion replaced Gold in September 2012 with Free Radio 80s. Listeners outside of the new coverage areas of Gold can still listen online or via Sky (0121), Freesat (722) and Virgin (959), as well as online. In Nottinghamshire and Leicestershire, the XFM local DAB slot will be used by Chill Radio, as Gold is already available on DAB here. No mention of the Central Scotland mux when xfm leaves there. Will gold replace xfm here? Hope so. You'll be pleased: Gold has arrived on the Central Scotland mux and added to the article above. Sadly the detail for that multiplex hadn't been published alongside the other changes.